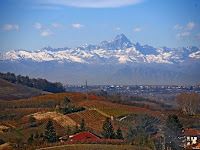 From the dense woods around Alba that hide pungent white truffles to the neatly staked vineyards of Barolo, food and drink is written into the landscape of Piedmont. This hilly corner of North West Italy is home to picturesque hazelnut orchards and marshy fields of risotto rice, while Piedmontese cattle graze the fertile land on their way to producing sweet milk and meltingly soft beef. Wherever you go in Piedmont, you are never far from good food. Carpeted in grass, thanks to the heavy rains that sweep in from the Alps, it's also a perfect place for cheese making. 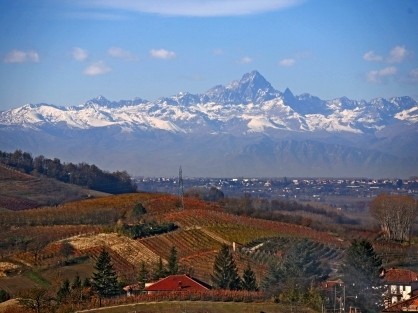 Rich and buttery Toma Piemontese and crumbly Castelmango are classic 'formaggi' from the area, but it is sweet and creamy Robiola that in many ways best encapsulates Piedmont's undulating terrain. Made with milk from cows, goats and sheep (often mixed together), the cheese is produced throughout the region and varies from village to village, depending on local traditions and geographies. In the Langhe – a wild and rugged area of the Cuneo province, high in the foothills of the Alps – the Cora family give full expression to the stunning countryside around their small dairy by wrapping goats' milk Robiola in leaves from the local woods. 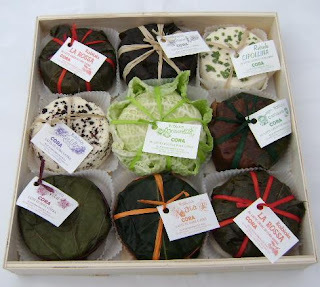 Cherry, fig, walnut, chestnut and even cabbage leaves are picked during the summer months to protect and flavour the snow-white discs of cheese they hand make in tiny batches using unpasteurised milk. 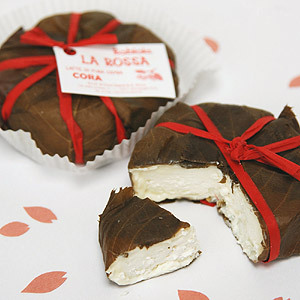 Robiola Fia (wrapped in fig leaves) and Robiola La Rossa (cherry leaves) are both supplied by La Credenza – an Italian food importer run by Fabio Antoniazzi. * To read the edited version of this article go to Harrods Magazine, please click here. Raw goats milk is a good product to drink. It has full of nutrients that can help our body system. It's good to know that those cheeses are made from the finest goat's milk.